Wow, two years already since the first Watch Dogs landed? I remember seeing all those teaser videos showing off the promise of hacking absolutely everything in the game world to totally redefine combat... and being a bit let down on how it didn't quite live up to those expectations (a recurring theme in games lately). 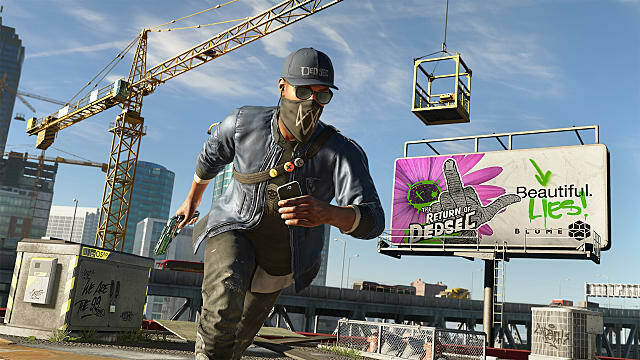 Watch Dogs 2 offers a completely different feel this time around, and not just in the change of city with the brighter landscapes. You feel more like a crusader for justice, who uses the non-lethal but totally subversive tools at hand, rather than a jaded hacker hell-bent on causing mass chaos. There's actual direct comedy in the story and dialog this time (although not to say, a Saint's Row level), along with a light-hearted twist overall to the missions and characters. The bad guys this time around are a giant conglomeration unethically data mining the everyday citizens, and its up to geeky-but-pure DedSec to put a stop to it. 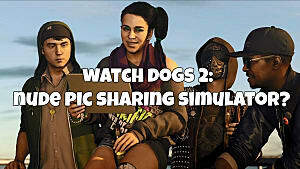 Watch Dogs 2 puts a happy, positive face on a group that would probably be up to some major no-good in the real world. Even the story missions are frequently more about flipping the bird (sometimes literally on every computer screen) than causing destruction, sort of making this the anti-Just Cause. Savvy (or old) readers may have noticed a reference to the classically ridiculous '90s flick Hackers (wow, Angelina Jolie has come a long way!) in our title up the there. 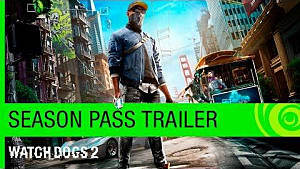 Thankfully, Watch Dogs 2 is anything but dated, feeling very with the times and in a few cases even sort of on-the-nose in referencing fictionalized renditions of newsworthy people, organizations, and events from multi-level marketing style religions to the much-maligned Pharma Bro. Speaking of real world events, there's a clever little Easter egg that may have gone slightly awry. Going pretty meta, there's an in-game mission tasking you with infiltrating a Ubisoft office and stealing a video game trailer... which it turns out is for a real upcoming game code named Pioneer. 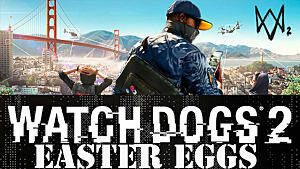 Hats off for the innovative way to advertise a new game that fits so perfectly with the themes of Watch Dogs, but whether Pioneer is actually arriving is another matter however, with Kotaku recently citing unnamed industry insiders as saying the game is in serious development hell and the Easter egg was premature. 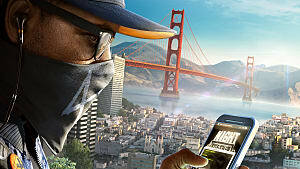 Where Watch Dogs 2 distinguishes itself from its influences (GTA, obviously, and even some of the new Hitman in its look and style), is that main character Marcus is mostly bad at things on his own. He's really only good at things in terms of technology. If you walk up and try to steal a car for instance, the alarm will absolutely go off... unless you get the appropriate hacking skill to auto-unlock vehicles from your phone. 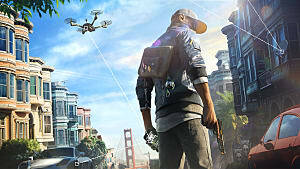 Personally, I had a ton of fun with the RC explosives and hacking drones from Homefront: The Revolution, but of course Watch Dogs 2 takes that concept to another level as hacking and messing with electrical systems is the entire focus of the game rather than a secondary system. Here the RC vehicle (and more importantly the drone) become critical, jumping long distances or going through vents and hacking locations that Marcus can't physically reach. Using the drone to scout out locations or draw someone's attention before moving in is critical, and much of the game can be played entirely remotely without ever physically entering a location. Sure, you can play it like a shooter or like Grand Theft Auto and take on everything from a combat perspective, but that's actually a less fun way to experience this game world that doesn't really jive with the storyline. Marcus is no Niko Bellic, that's for sure. The stun weapon makes sense, but the 3D printed guns are sort of head-scratching for the setting and characters. When going it on foot and trying to blend in or sneak past enemies, there's a clear Assassin's Creed echo here, not surprising considering the developers involved. We're taken in a very different direction with the modern day setting obviously, hacking security cameras to get a look at what's ahead or downloading data to use later. As you gain new skills or download apps, some incredibly fun options become available for handling situations. In particular, it's a blast to plant evidence on rivals and watch from a nearby location as cops come in and get into a firefight. Not all the skills are particularly useful, though. What's the point in disabling city infrastructure? It hobbles your ability to hack equipment and objects, which is your primary advantage over the enemy. You will also find as you get into a groove you probably tackle any mission in the same one or two ways, and there really should be more flexibility in how hacking works and what you can do beyond the game's limited parameters. Cool car... I'll take it! Outside the main story operations, there's the usual side mission shenanigans and collectible hunting, like taking selfies at monuments or driving people around as an Uber to get more followers. For a little break in the flow, there's also a Pipe Dreams mini-game occasionally where you have to change the flow of wiring to hack certain objects. 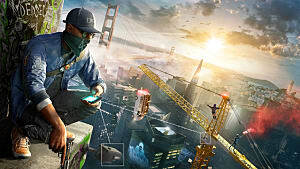 Watch Dogs 2 is an all-around solid current gen experience, and an overall improvement over the first game, which perhaps failed to live up to the premise even if it was a grand (and fun) experiment. The characters are fun, and there are some amazingly nerdy conversations to enjoy during any given mission (one about about the science of who wins in a matchup of Aliens vs. Predators in particular comes to mind). The fact that it was two years between entries is a good sign, and that trend really should continue. 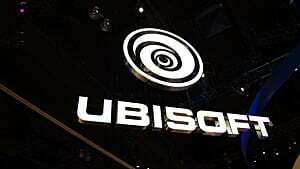 Hopefully the Watch Dogs universe keeps getting built on and doesn't fall into the Assassin's Creed trap of over-abundant releases without enough distinguishing factors or time to polish up the bugs. 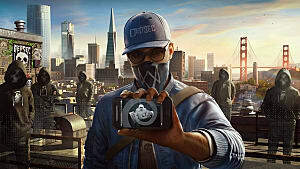 Don't be a loser, try out Watch Dogs 2!